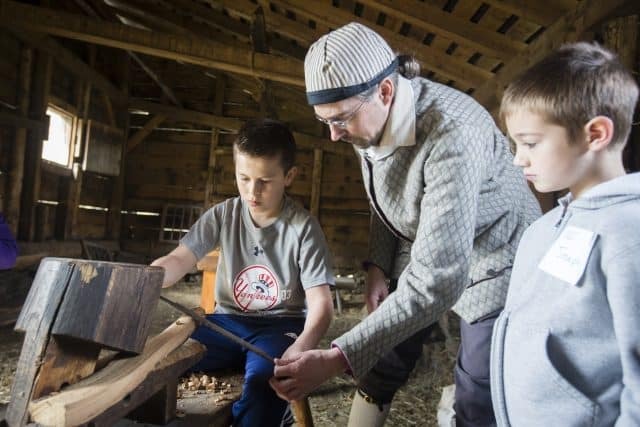 “Operation: Colonial Survivor” at Philipsburg Manor in Sleepy Hollow, NY is a hands-on, screen-free adventure that teleports kids back to the 18th century to see if they’ve got what it takes to survive in Colonial times. “Operation: Colonial Survivor” is being offered as a day camp option during our Easter/Spring break. It’s a great option for working parents or parents who’d like to see their children not spending the break staring at a screen. This sounds like a great program in so many ways. It’s like a field trip on steroids. Last year, our daughter took a field trip to a local historical preservation site. Although she enjoyed it, one of her complaints was that it wasn’t very hands-on. Kids definitely get their hands dirty during “Operation: Colonial Survivor”. 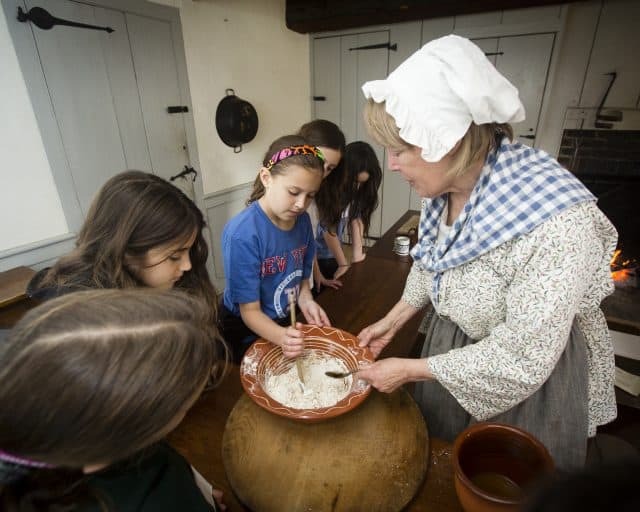 It’s the kind of experience that reinforces what 3rd-6th graders learn about in school about life in Colonial America. 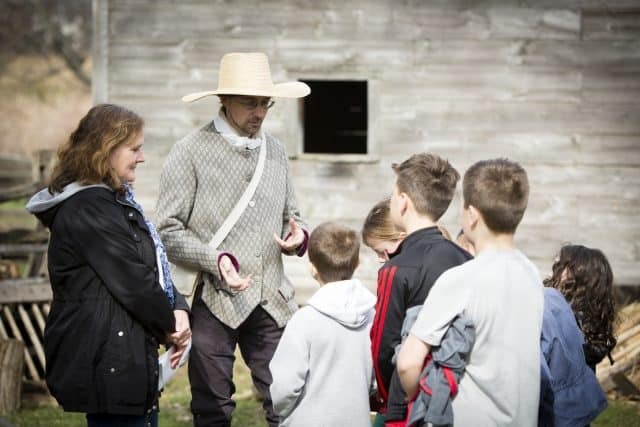 Aside from the obvious educational benefits, the activities during “Operational: Colonial Survivor” put bodies and brains to work in a way that exposes kids to new things and builds confidence. And it all takes place in a very immersive atmosphere. It essentially transports the kids back in time to see what life was like over two hundred years ago. How does watching a youtube video about Colonial life even compare to actually getting to experience it for yourself? 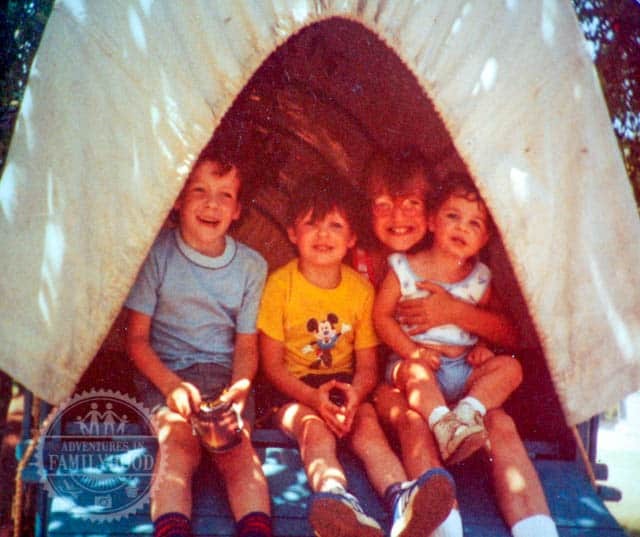 Me and some of my siblings sitting in a covered wagon at Colonial Williamsburg in the early 80s. 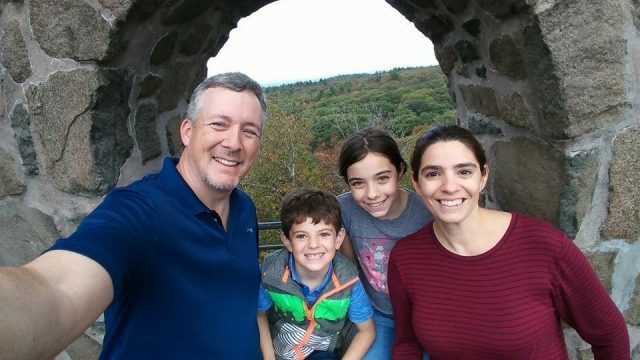 I know that when I was a kid, I loved going on field trips and visiting places like Colonial Williamsburg with my family. I would have loved to have spent a week at a camp like “Operation: Colonial Survivor”. It’s too bad it’s only for kids! 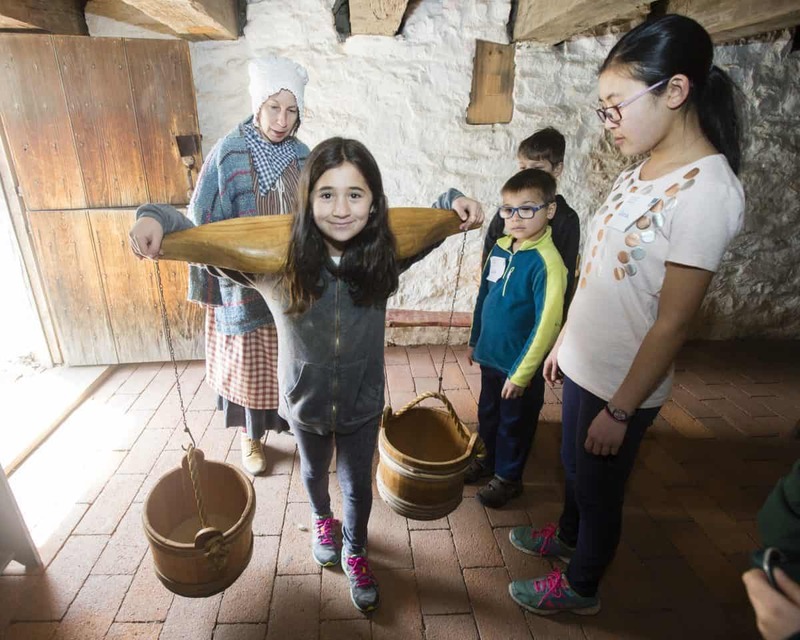 Returning to this historic site in Sleepy Hollow after its popular debut last year, Colonial Survivor will have kids testing their wits as they discover what life was like in colonial New York. This year’s activities include solar power experiments, candle-making, and a colonial festival. 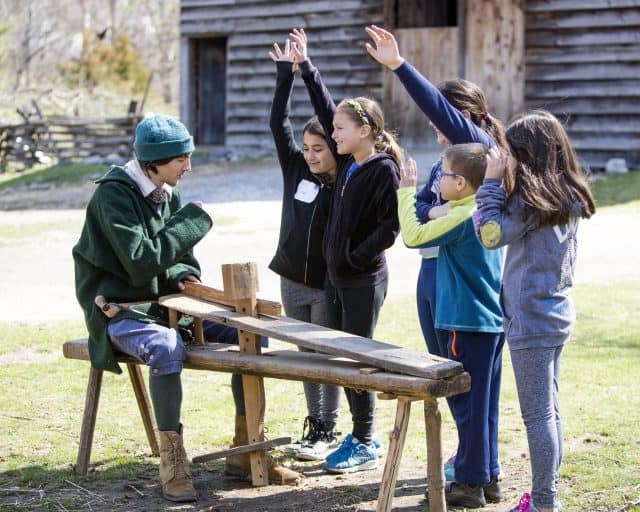 Every day is packed with fun as they hone their 18th-century survival skills! Colonial Survivor takes place Monday-Friday, April 2-6, from 9:00am to 2:30pm at Philipsburg Manor in Sleepy Hollow, NY. Guardians can register children ages 8-12 at hudsonvalley.org/events/colonial-survivor. Enrollment is limited, so early registration is encouraged.